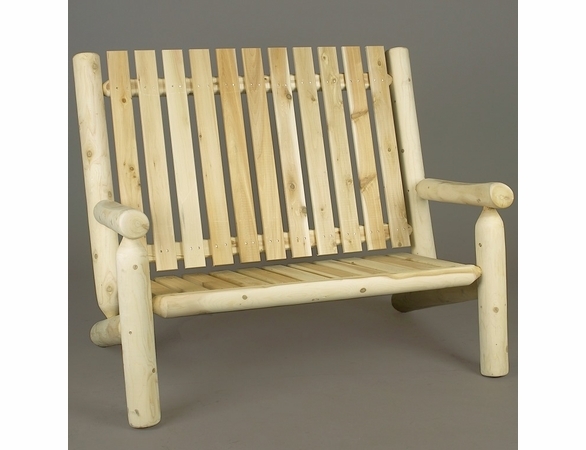 You can sit back and relax free from care in the Cedar Wood Log-Style 4’ High-Back Garden Settee from Cedarwood Furniture. Besides benefiting from its old-fashioned country comfort, you won’t have to worry about this piece outside, thanks to the natural weather resistance of Northern white cedar and this piece’s rust-resistant, coated hardware. Made in Canada, this settee is 47” wide and comes with a five-year warranty from the manufacturer. Match it with other cedar log outdoor furniture pieces, like our Cedar Log-Style Coffee Table.